Assume for the moment a hypothetical. A State executes a person convicted of a double murder. That person had been found guilty beyond a reasonable doubt by a properly constituted jury of his peers. The jurors, however, had been provided false evidence of guilt and had been deprived compelling evidence of innocence. Given that hypothetical, is somebody guilty of murder? To put it another way, I guess, can the Texas justice system be used as a murder weapon? I can cite at least one jurist who claimed that, indeed, such behavior would be murder. I speak of the Honorable Judge George H. Godwin. At the time he offered his opinion, he was presiding Judge of the 174th District Court of Texas. More specifically, he was the presiding Judge in a capital murder trial that hinged, at least in part, on blood evidence. Judge Godwin was faced with a flurry of objections from defense counsel regarding last moment, surprise forensic evidence. Defense counsel objected to the lack of discovery regarding that evidence. Defense counsel argued that the State had not laid a proper predicate, that the evidence about to be presented might be inadmissible and the jury thereby contaminated. The Court: Well, they better tie it up properly. If they don't, Mr. Hughes may not be the only one charged with murder. I concede that's not much of a legal argument, particularly since the Honorable Judge George H. Godwin was a crappy judge. 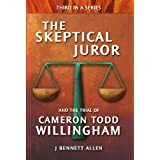 He had, after all, just allowed the now thoroughly disgraced James Bolding to test the alleged murder weapon while sitting in the jury box, right in front of the jury. 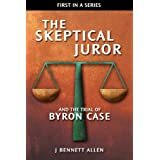 The Honorable Judge Godwin had just denied a defense request for the time and expertise necessary to review the results of other forensic tests, tests actually conducted in a lab and just recently completed. Judge Godwin ruled instead that a brief phone call (relayed through the DA) was sufficient. In fact, Godwin ruled that the defense had already received more than they deserved, more than they could have dreamed of. 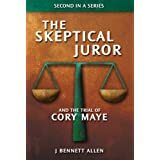 The Court: ... you've got something that many defense lawyers have always wanted; that is, you're seeing the actual testing right before your very eyes. That was such a brilliant judicial ruling that the State parroted it during its closing argument. Mr. Noll: They checked for blood not only on the clothing but on the knife right here in front of you. Normally the defense tactic would be they did something over there sneaky, but this time it was done in the witness stand where they could watch and they're still complaining about it. If Mr. Noll, or Mr. Bolding, or the HPD did do something "sneaky", and that sneakiness resulted in an innocent person being executed, would that constitute murder? What if the sneakiness consisted of testing a rusty knife for blood using a reagent that reacts with rust as readily as it reacts with blood? What if the sneakiness consisted of withholding the results of multiple, blood-specific tests finding no blood on the defendant's clothing? What if the sneakiness consisted of planting the victim's eyeglasses in the defendant's apartment? What if the sneakiness consisted of extracting a confession under a false promise of leniency? What if the sneakiness consisted of putting incriminating words in the mouth of a dead girl? What if, in its well-intentioned efforts to frame the guilty, agents of the State framed the innocent? What if, as a result of those well-intentioned but clearly illegal acts, the State injected lethal chemicals into the innocent person's arm? In this series, we will discuss such weighty matters. As I have said before, such conduct certainly constitutes murder. Those who behaved in this way should be arrested and prosecuted for their crimes. The only question would be whether they really believed the person was guilty and whether such belief would be sufficient reason not to seek the death penalty in their case. Yes, I believe it is murder. I was unaware that there may have been dna evidence that would prove who committed the murders. Well that evidence now be destroyed as Preston has been executed? unfortunatly the courts dont deal with "what if"s",develop all the hype you want,you wont prove Hughes innocent. Murder is murder no matter who is committing it or the reason why. Has there been any legal precedent for state officials that have been caught tampering with evidence charged for murder? It's a felony but I don't think it's been murder before. Second anonymous, murder = murder yes, but the issue has always been what is the definition of murder. It's the difference the two sides use in the debate about the death penalty. "It was at that point that Judge Godwin opined about the murderous implications of forensic evidence improperly presented." No, he was making a bad joke that he, Judge Godwin, would kill the atty if he/she did not make a proper foundation for the admitted evidence.